A man has been charged after a missing D.C. yoga instructor and actress was found dead early Tuesday morning in the District. "Tricia is gone, they have found her body," said Brian McCauley, Tricia's brother. "Thank you all for your work, support and love. To all of her D.C. family, I know she truly thought of you that way, thank you for being there for her all these years. Hang on to each other." "She was a beautiful perosn who recently talked about being at peace with herself," said friend Deborah Randall. McCauley's friends last heard from her around 1:00 p.m. on Christmas Day. According to posts on Facebook, she was supposed to have Christmas dinner with friends and then catch a flight on Monday to visit family, but she did neither. "There felt like there was nothing we could do," said Randall. "So we started driving around in her neighborhood." 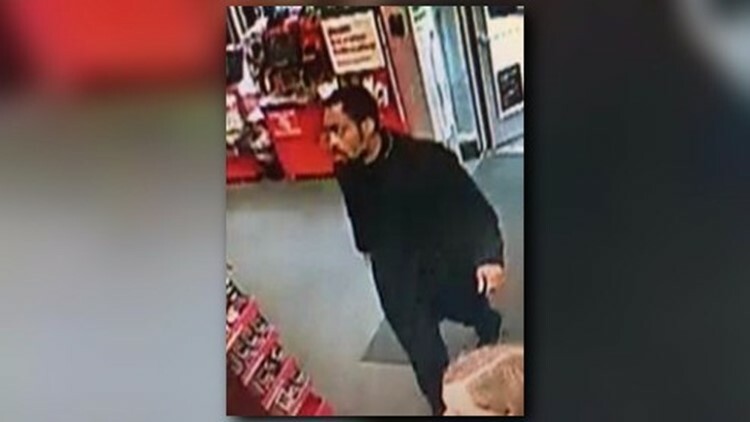 Around 10:50 p.m. on Monday, surveillance video showed the suspect driving McCauley's car, a white Toyota Scion, from CVS on Rhode Island Ave. That is the same location where police said the suspect robbed the CVS and assaulted employees. Tuesday, police confirmed that her body was found in her car in front of the CVS. Police released the following photo of the suspect. They do not believe McCauley and the suspect knew each other. McCauley has been in the District for nearly 30 years. She was a graduate of American University. Her friends and family describe her as a beloved yoga teacher, an actor and herbalist. “She is one of the kindest and most gentle people that I know," said Kate Debelack, McCauley's friend. So to think that someone could have harmed her is awful." "We are forever changed for the absolute better for having her," said Randall. "She loved the idea of making your life the best journey it can be," said friend Alan Scott. Anyone with information is asked to call the Metropolitan Police Department at 202-727-9099, the Youth and Family Services Division at 202-576-6768, or 911.